Ticking the Bucketlist » Is Paris Overrated? Spending the New Year’s eve in Paris was on my bucketlist for a very long time. 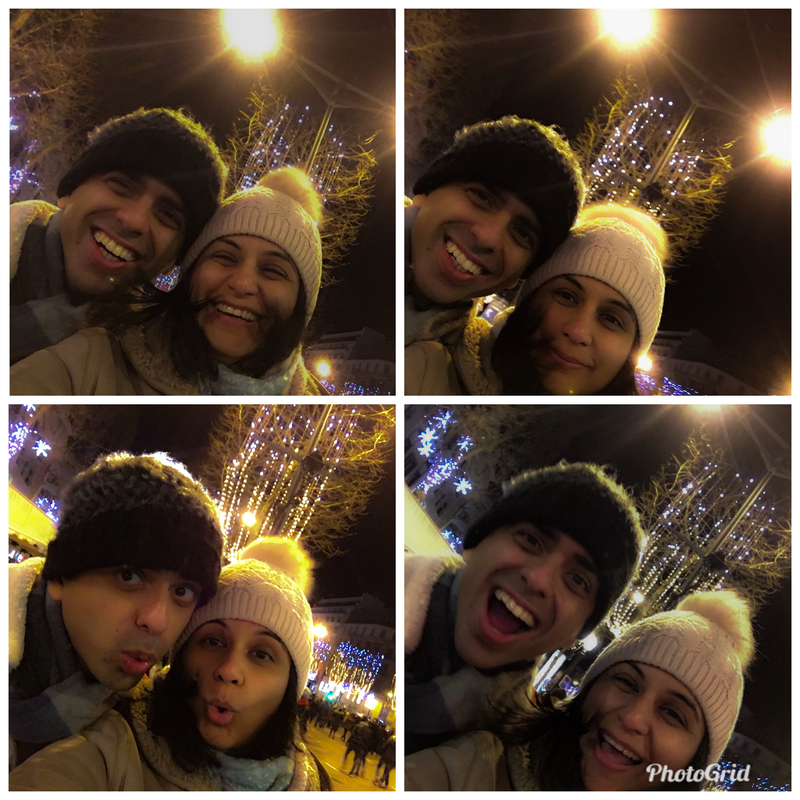 So, we finally decided to tick this item off and spend 31st Dec 2017 in Paris. We were charmed on Day 1 and totally let down by Day 5! 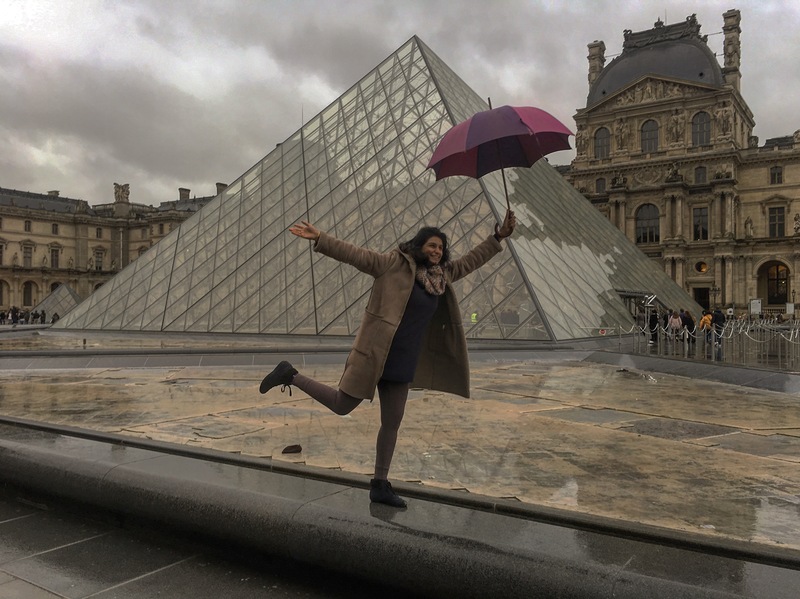 Winter in Paris isn’t the best time to visit the city – it is cold and wet. The day we landed, it was 2 degrees Celsius at noon. It was pouring and the Sun God seemed to be on Christmas break as well. We were expecting bad weather and had a fair bit of gear to take us through these times. Hence, it is not the weather that played a major role in the opinion that we formed about Paris. 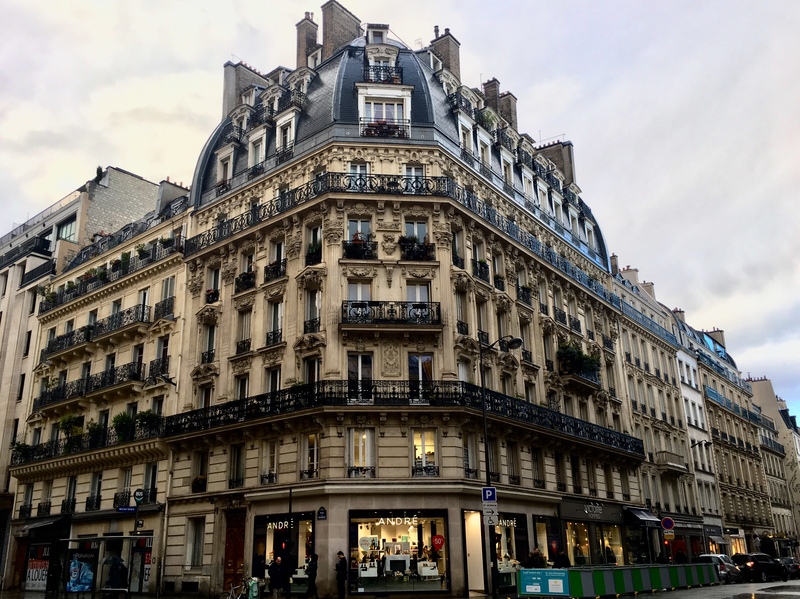 We firmed our opinion after spending about five days in the city…and we think that Paris is possibly the most overrated European city that we have ever visited. 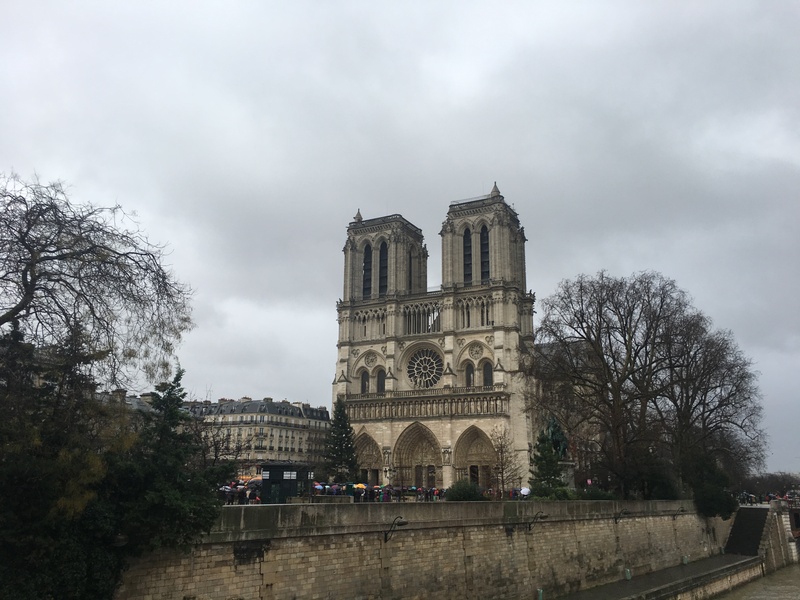 Pictures of Paris always show the glitz and glamour associated with a few monuments – the Eiffel Tower, the Louvre and the Notre Dame. None of the pictures show the homeless on the streets, the poverty and the begging that is evident even on a cold winter night in the Champs Eleeyes. The city stinks – really, it does…even the areas that are most frequented by the tourists. Dustbins on the roads are made of a ring with a plastic bag, that ‘grows wings’ on a windy day and spreads trash all around. For the past couple years, every year has a flu ‘epidemic’, declared so by local authorities, in the months of December and January; old people are most susceptible to the same. While there are plenty of bakeries in Paries, due to the above-mentioned factors, food at mid-range restaurants may not be clean and hygienic. Ankur and I, both had a bad time after eating some tagine and couscous for lunch. Ankur and I are ‘Delhi-belly’ survivors; Paris sure is a letdown. The public transport system needs to be maintained. Seats in metro and the buses are run down and look old and dirty. To make things worse, Parisians put their soiled shoes on the seat in front while sitting in public transport. Whatever happened to being ‘classy and Parisian’? If you love art, there is a fair bit for you to see, including the Louvre. However, if you do not, the Louvre is not value for time or money; the same holds true for the other art galleries and museums in Paris. Is it worth spending time and money in the Louvre if one is not an art lover? Parisians aren’t warm people. Most of them seemed snooty and did not seem to be open to accepting a new view. If something did not have a ‘pure’ French heritage, they seemed to consider it second grade. French food isn’t great for vegetarians. The bakeries are nice and the macarons are delicious, but you cannot enjoy most of these goodies if you eat eggs. If you are a vegan, there is little that French food has to offer. French onion soup…wonder if the cheese had rennet? Paris is expensive – very expensive. Let us not compare Paris to Switzerland, but it sure is much more expensive than Madrid, Barcelona, and Rome. I would rather spend my time and money in Spain and Italy than in France. Lastly, the weather in winter is terrible. The cold weather does not make the holiday season great, regardless of the glittering Christmas lights and the mulled wine. I wonder why people flock to Paris? Are they done seeing Vienna, Salzburg, Munich, Rome, Madrid, Barcelona…the list is endless! I am sure France has a lot more to see, and possibly people in the country are warmer than the Parisians we met. Hopefully, we get to visit the little towns of France sometime, which might be better than Paris! Preach! I went to Paris last summer and even with the good weather I found it very overrated. I posted an article about it and everybody went for my throat. I do think everything you say here is true. There are many homeless (there were plenty near where I was staying and although I understand they are having a difficul situation, I did not feel that safe wandering outside during nighttime), the city has a lot of trash and rubbish in the streets and I think they do not respect pedestrians as much as in other places of Europe. Cars wouldn’t let me cross the street in the zebra crossings or when the light was green for me. I love capitals and big cities, but this is not my favourite. Ok, let’s animate the debate… I start saying that the last time I went to Paris was 1997, so more than 20 years ago, and even at that time was very expensive, but was a different era, where traveling was expensive for most of the people. For sure accommodation was overrated, very bad hotel with high rate. I remember the food was not that fancy thing I heard, but probably it was because my poor pockets did not allow me to enter into the very good restaurant where there is a fine cuisine. Winter can be a problem everywhere, not only in Paris, I had a similar experience in Berlin, Prague, and London, so I would not add this as a negative aspect to Paris, if you go to Spring you’ll enjoy Paris for sure. 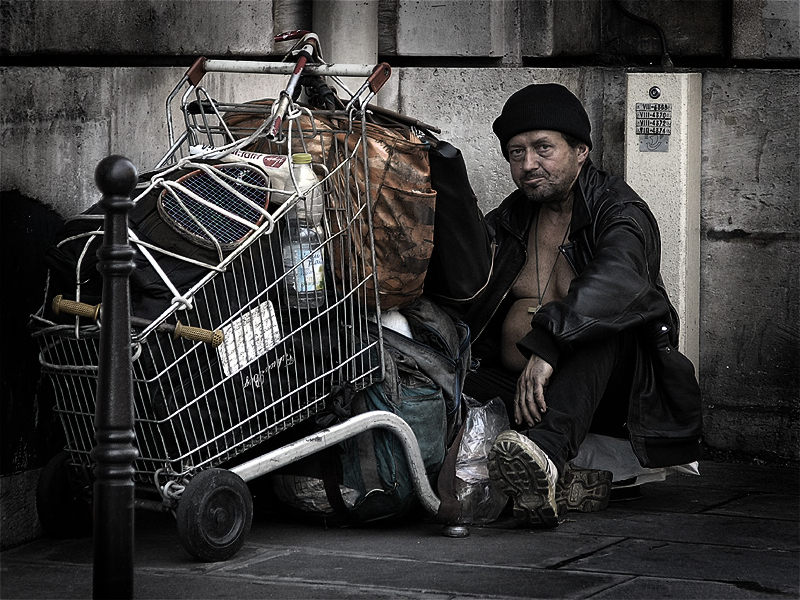 Is true homeless are not represented in pictures of Paris, as well the same happens in Los Angeles and New York City pictures, I think that probably this is because some pictures are made to sell us the desire to visit some places, business is business, that’s it! I do not agree at all with your severe view about Louvre, during my visit, I had the opportunity to enjoy a tour in one of the most precious art collection in the world, of course, I had to organize my visit, selecting what I was interested in, so I saved time and skipped the things I was not interested. As Italian, I am very happy you would spend time here, but I have the doubt that maybe you had too many high expectations about Paris and now you feel disappointed. Regarding Parisians, I have not any experience, but I had the same feeling you had. I’m sorry you got sick from the food there – I’ve never had a bad experience with food in Paris, and food is one of my favorite things about Paris. I agree with pretty much everything you said but I guess none of it really bothers me (smelly, run down trains, unfriendly people) since I live in a big city and deal with all that on a day to day basis. I love the culture and history in Paris, and again, the food. Hope this one bad experience (I’ve had bad experiences in Paris too, like getting my phone stolen) doesn’t stop you from going back again in the future! It’s nice to hear different perspectives of destinations. And it’s nice to know the ‘reality’ of a location when researching for a trip. As a photographer, it looks like Paris in the winter wouldn’t be a good time to visit due to the rain and dreary sky. Ive been to paris countless times. And all times i found it overrated and not at all interesting even the very first time i was seriously unimpressed. As an American I feel we are sold exaggerations of how chic and culturally rich this place is. Well yeah, if u compare it to the U.S. It definitely has culture. But it has just a slightly better sense of style but really not by much. As far as culture or things to see….take away the architecture and museums n you are left with nothing but dog poop on a sidewalk to see. I am not sure what the hype about paris and france in general is. I only come here because i visit my in laws who are older and cannot travel anymore. If you are looking for a breath taking surreal magical place with plenty to see i suggest our neighbor to the south (Mexico, us geographically lost people). Architecture, museums, spectacular beaches, ancient archological sites etc. The city (specifically Mexico city) , is great as there is lots of foliage and nature all over the city, as you walk around it you feel like you are in a city built in middle of a forest, and just when you thought you seen it all BOOM!! You walk into an ancient pyramid in middle of the forrest-like city!! France does not have that magic.